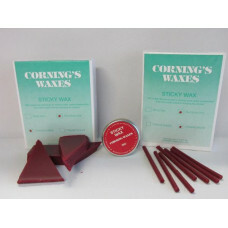 A hard, fast-setting wax, Sticky wax can be used to repair wax patterns and weld waxes together. 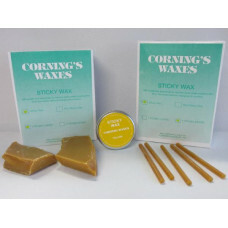 It is excellent for joining sprues to sprue bases. Available in Red & Yellow.Used in linking stone models prior to articulation, fasten..
Used in linking stone models prior to articulation, fastening bridges and clasps&n..